I would put some pepper spray or something similar for your personal safety within arms reach as well. Just in case. It’s better to be safe then sorry. Ziplock bags in various sizes. I 2nd the wipes, which are great for bird poop on vehicle removal. A couple dehumidifiers - to active use while the other refreshers/rechargers. Pepper spray isn’t legal in many areas… I keep a spray bottle of vinegar in my van, legal everywhere, and it even repels bears, dogs, and people. My spray bottle will do a spray or a stream, and the stream will shoot like 10 feet. I know it’s been a hot minute since this thread was replied to, but I wanted to chime in-- having a dedicated, easily accessible spot for a portable charger is key! That way you can conveniently charge your phone and other devices at any time. Also, a consistent spot for a hand towel and/or paper towels is very helpful. Happy vanning! In a van or small space, having a place for everything, and keeping everything in that place makes life much easier. I’d like to resurrect this topic because I think it will be very helpful to new, upcoming van lifers (like myself). It’d be nice to have a thread with suggestions for essential must haves. What kind of tools should van dwellers always have on hand? What kind of safety equipment/gadgets? What kind of emergency supplies? What type of first aid kits? Are there specific apps or websites that should be in everyone’s phone/computer? I don’t really carry that many tools any more, a basic wrench set, vise grips, crescent wrenches, self adjusting wrenches, screwdrivers, a yankee push drill, needle nose pliers, and a hammer. I normally have a smoke/carbon monoxide detector, but I just gave mine to somebody who needed it worse than myself, and a multi purpose fire extinguisher. I usually try to keep at least a couple weeks worth of food and water, and heating/cooking fuel in reserve. I’ve got a good first aid kit that I picked up years ago, and have never opened it. Mainly I’ve got a box of band aids and a bottle of hydrogen peroxide that I use. Anything more serious, it’s time to seek help. Being that I’ll most likely be building and changing my van for awhile after I get out on the road, I’ll probably end up with a few more tools to begin with. But, that was my thinking, too - a basic tool set, a ratchet set, and a drill. The smoke/carbon monoxide tester is a definite must. (As is the fire extinguisher.) 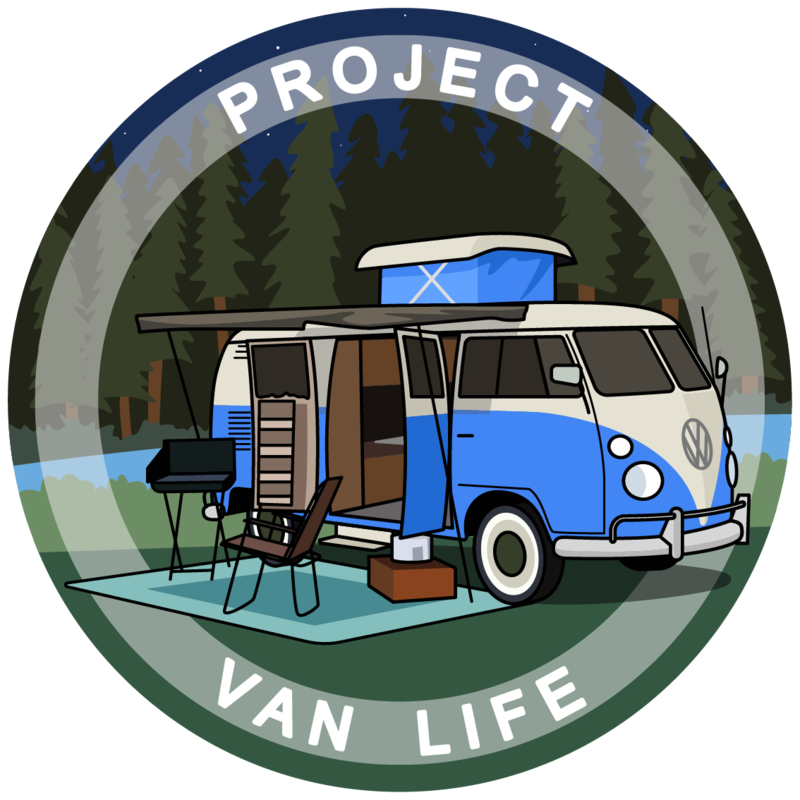 Since learning about van life, I’ve read too many horror stories in Europe about folks living/sleeping in their vehicles somewhere and being either killed or put to sleep by carbon monoxide by thieves. If that catches on in America… Granted, it’s an essential piece of safety equipment anyway but, given the tendencies of the world today, I think it’s absolutely vital for van lifers. Emergency food, water, and ways to keep warm and cook. That’s exactly what I was thinking. I was just wondering if there was anything I hadn’t thought of since I’m not actually in a van yet. Nice to know I’m on the right track at least. The only thing I would add to what you said @Van_Dweller is Grapefruit Seed Extract (cheap and anti-everything: bacterial, fungal, etc.,) It heals wounds really quick. And also colloidal silver. I make my own and take it at the first sign of getting sick. It knocks it out immediately and, as a result, I think I’ve been sick twice in the last five years and that was because I didn’t have my colloidal silver kit with me. I’ve never used either of those, but will look into them. Personally, I use/make colloidal silver if I feel a cold/flu or sinus infection coming on. When taken at the first sign of it, it will knock it out before it develops. I’ve also had problems with diverticulitis in the past. (Not for awhile now since I’ve corrected my diet.) When a bout of diverticulitis came along, it required a 10 day round of antibiotics (which I’m not a fan of). Instead, I would take colloidal silver, again at the first sign of a problem, and would only have to take it once or twice. It’s also effective on cleansing topical skin problems but using grapefruit seed extract is easier and my preferred remedy.